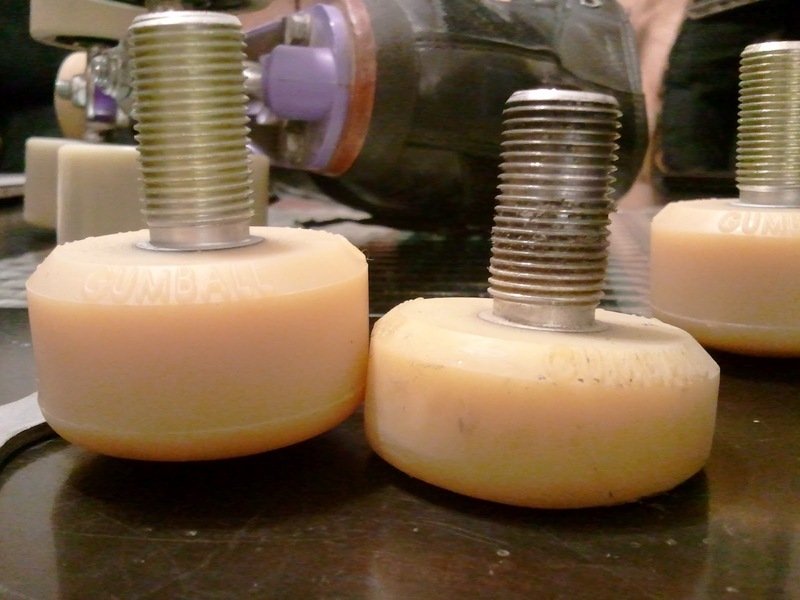 Cooking on Skates: Gumballs: New Toe Stops! I discovered Gumball toe stops at Beat Me Halfway last year. They ... changed my life. 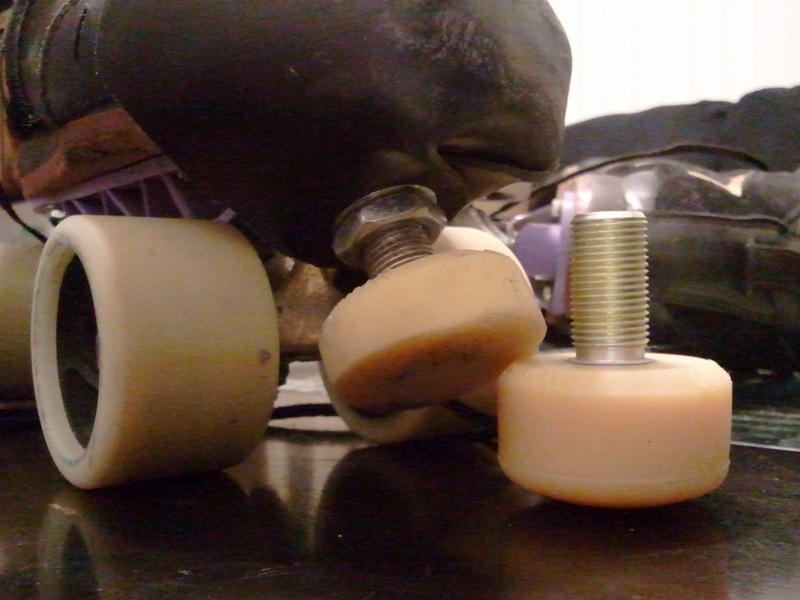 But nearly a year of heavy skating and thousands of 180 toe stops later, they were pretty worn down. Actually, a lot worn down. $20 shipped on eBay. If you have skated for a while and just have the toe stops that came on your skates, these are worlds better. I may have literally squealed and did a happy dance when these showed up. Shh—don't tell.